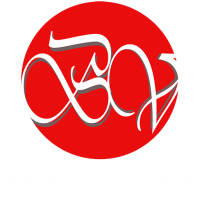 BigVero is one of the great online stores in the usa. We provide a wide range of clothing products, phone cases, drinkware, and home decor. BigVero also gives you the ease to create a custom and personalized gift product with high quality material. Such as, Unique t-shirt, hoodie, tank top, phone cases, sweatshirt, kids clothes, personalized mugs, baby onesie, pillow covers and more. BigVero started an eBay,Etsy, Bonanza store selling a highly curated selection of vintage pieces. The shop has grown to become an international style. When it comes to t-shirt printing, there’s no denying it: we’re obsessed. We understand how important your shirt project is to you. That’s why we’ve established exacting standards for print quality and offer multiple printing technologies to ensure that your order will come out great. Digital printing is the state-of-the-art process we use for items that require high amounts of detail as well as orders of a smaller quantity. Because our digital printer does not use screens, we can print a shirt with much greater detail than traditional screen printing can provide. And since there is no physical set-up, your design can be processed and printed even in small quantities — as few as one shirt at a time. Digital printing is not a heat transfer. With digital printing, we take your design straight from the computer and print it directly onto your garment. We’ve got this method down to an art form, which means that even photographic images can be reproduced in all their glorious detail. The “no-minimum” products available on our website have been thoroughly tested and approved for digital printing. We are printing perfectionists, and will not enable products or colors that have not been proven to result in the best final product. We are always working to test and add more products, so if your favorite color is not available, we are probably working on adding it soon! Digital printing is available on some of our most popular styles.